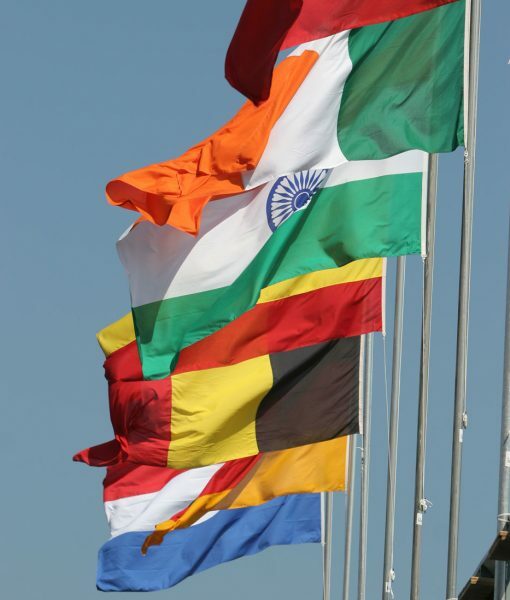 Our international flags are made of the quality fabric called Spun-Poly and produced with screen-printing. This material is known by its strength and long durability. Wall mounted or pole flag sizes vary from 70x100cm to 450x675cm. For every occassion we have the suiting flag. Wall mounted flags get finished with our loop and cord to attach to the pole. Our pole flags are finished off with heading and clips to easily attach them in to the pole.